STILL CRAZY AFTER ALL THESE YEARS: Talk about a hiatus. 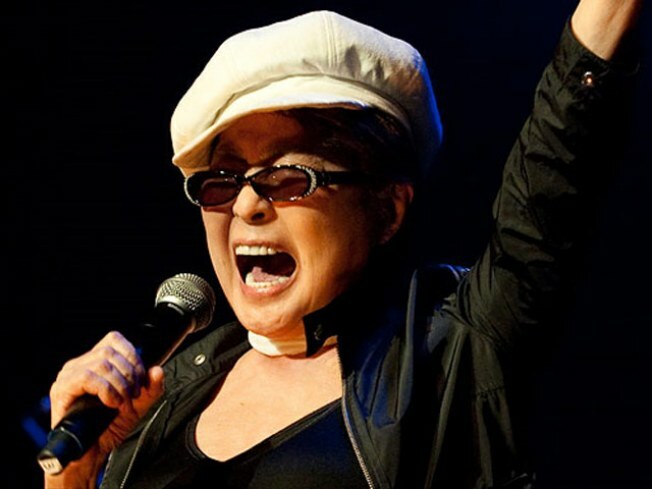 YOKO ONO PLASTIC ONO BAND has actually been around since 1969, when the avant-garde multimedia outfit led by Yoko Ono recorded "Give Peace a Chance." The revived group has a new lineup – Ono is joined by Cornelius (the Japanese Beck), Cibo Matto’s Yuka Honda, Yellow Magic Orchestra’s Haruomi Hosono and her son Sean Lennon – and a new album, “Between My Head and the Sky.” Expect their shows tonight and tomorrow to be feverishly attended affairs – and not just because of special guests like Eric Clapton, Bette Midler, the Scissor Sisters and Sonic Youth. BAM Howard Gilman Opera House, 8PM. THE DAY AFTER: The 11th Annual Love Hangover takes place the day after Valentine’s Day and pairs artists in love songs duets: Couples (for the night, at least) like Tracy Bonham and Garrison Starr, and Hannah Marcus and Rick Moody sings all about the ups, the downs, and the very, very downs of l’amour. Consider the night a balm for your Russell Stover-and-Hallmark assaulted senses. Union Hall, 7:30PM. DOUBLE TROUBLE: Even if Calgary-born twins Tegan and Sara Quin never sang a note at their live shows, audiences would probably buy tickets for the banter of these singer-songwriters alone. The prolific pair packs Music Hall of Williamsburg tonight – doors at 8, show at 9PM.